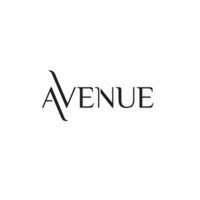 Avenue Stores is a fashion retailer specializing in plus-size clothing for women between 25 to 55 years old with apparel size of 14 and above. Its headquarters is located in Rochelle Park, New Jersey, USA. The company was established in 1987. Today, it operates in more than 500 stores in 37 states. Avenue has been under the ownership of Versa Capital Management since 2012. It has reached revenues of almost $400 million and an operating income of almost $13 million. Aside from clothing, it also offers footwear and jewelry. Avenue offers an attractive benefits package to its employees which includes health insurance, employee discounts and personal spending accounts, paid time vacation, 401(k) retirement plan, life insurance, employee assistance and program. Employees find working in this company fulfilling because they experience a comprehensive career growth while working in a fast-phased yet professionally nurturing working environment. The management is also implementing various employee programs for maximizing their talents and potentials. How old do you have to be to work at Avenue? It requires its applicants to be at least 18 years of age to be considered eligible for any available position including retail and distribution jobs. Sales Associates – They are responsible for assisting clients with their inquiries and test fittings. They should be able to provide a high-quality customer service and offer fashionable advice according to the current trends. They also assist in payment processing and inventory. Quality Control Associates – They are in charge of closely coordinating with vendors and manufacturers. They make sure that the items delivered pass the standards, quality and specifications. They are expected to be attentive to details and possess good communication skills. Merchandise Processors – They are tasked to sort and categorize stocks according to the specific store location that the items are to be delivered to. They also implement loss prevention measures and oversee safety of stock during loading and unloading. Assistant Store Managers – Their key role is to make reports and presentations based on the performance of the store. They are expected to be highly proficient in office software. They also provide support in the general management of the store. Other common jobs in this company are: Merchandise Handler, Assistant Buyer, Buyer, Loss Prevention Specialist, Customer Service Representative, Marketing Production Assistant, Digital Marketing Assistant and Merchandise Planner. Avenue has an online job portal within its website that jobseekers can browse through and select the job that they want to apply for. Resumes and other supporting documents can also be uploaded on the site. Applicants have the option to apply personally and submit their application in store locations. However, online applications are more flexible as they can apply in multiple positons that match their credentials. It is also processed faster and more conveniently. In filling up the application form, all important information should be provided with complete and updated details particularly contact information such as mobile and home phone number, home address and email address. To write an excellent resume, correct grammar and spelling should always be observed. All necessary information about the applicant based on the job description of the position applied for such as educational background and relevant professional experiences should be included. To efficiently prepare for an interview, applicants should research about the company and the job. They can also rehearse discussing careers stages and related experiences to communicate smoothly and more confidently during the interview itself. Avenue maintains a positive work environment. It puts customer satisfaction of utmost importance. It upholds its company culture of excellence by helping its employees reach their full potential personally and professionally. The company has opened new stores in different states across the USA including Arizona, Florida, New Jersey, Illinois, New York, California, Connecticut, Texas, and many others. The complete list of newly opened stores can be accessed through their website. The brand is known for being one of the largest and most popular clothing lines of its kind. It has expanded its operations recently by opening its store to the world through online shopping available through their website. Avenue has been engaged in various social responsibility programs through their parent company, Vera Capital Management, specializing in areas of donating to children with terminal illness, victims of natural disasters and the adaptation of sustainable business practices.